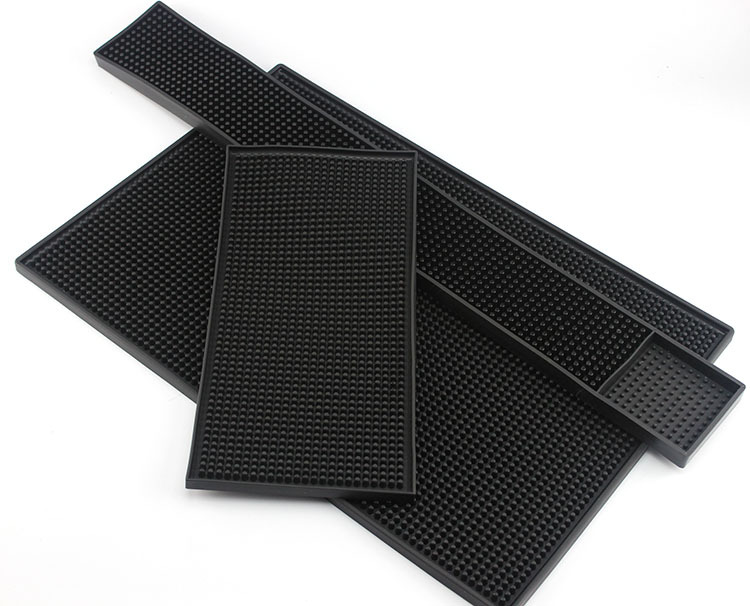 Reduce spills and increase sanitation at your bar with our selection of rubber bar mats for your countertops. 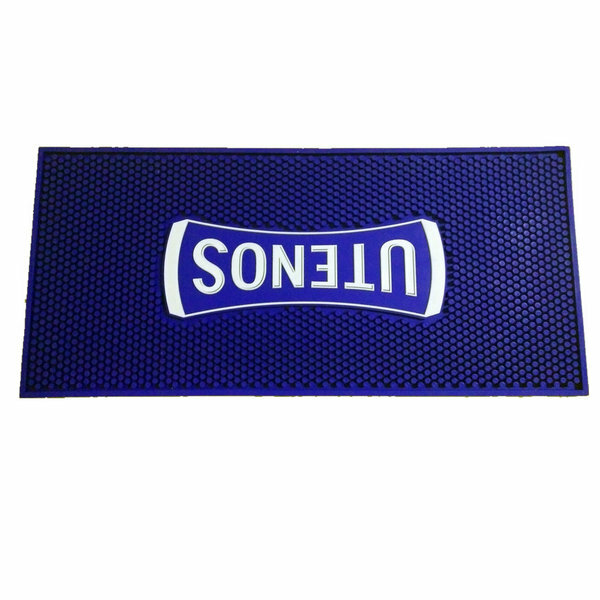 Cut down on the time spent cleaning bar counters with these flexible, easy-to-clean mats. 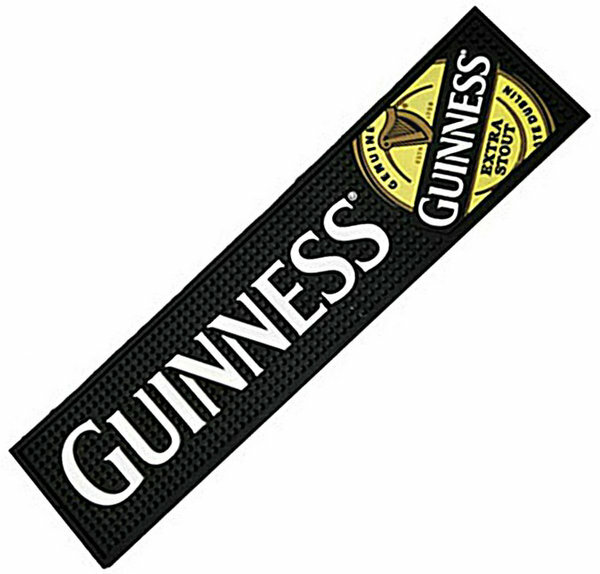 Choose from standard or rail type mats in brown and black colors to collect all your beverage spills. 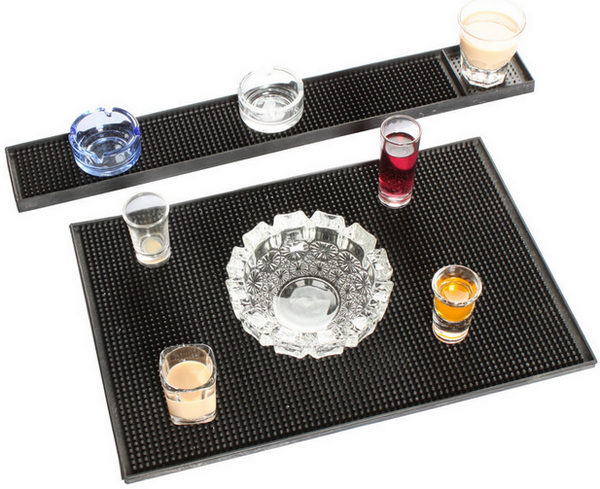 Bar mats will collect any overpour and splashes that occur when transferring drinks to the proper glass. 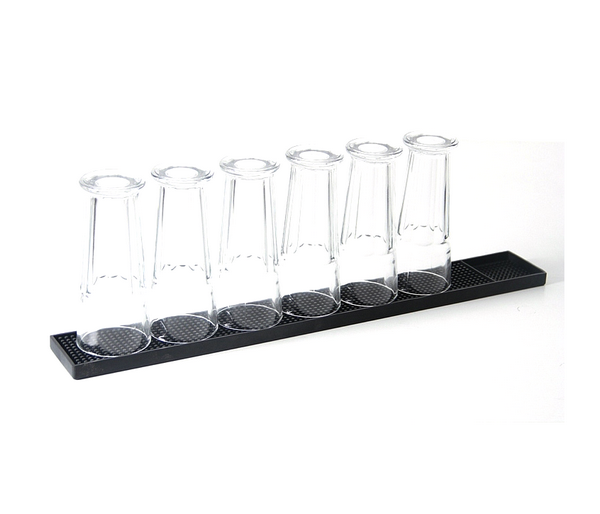 They’re also great for containing overflowing beer, foam, and drips from leaky taps. Place glassware and serving dishes on rubber bar mats for quick drying, or use them under pitchers and champagne ice buckets to soak up condensation. 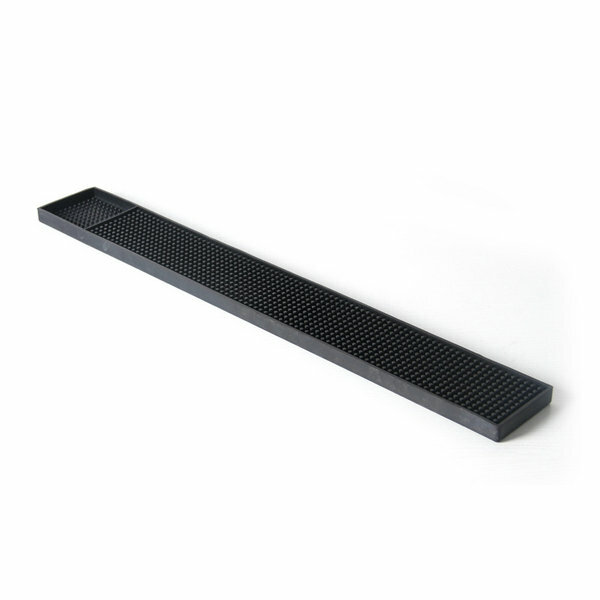 Bar mats can be used under condiment holders, or even as a safe surface to cut fruit slices and other garnishes. 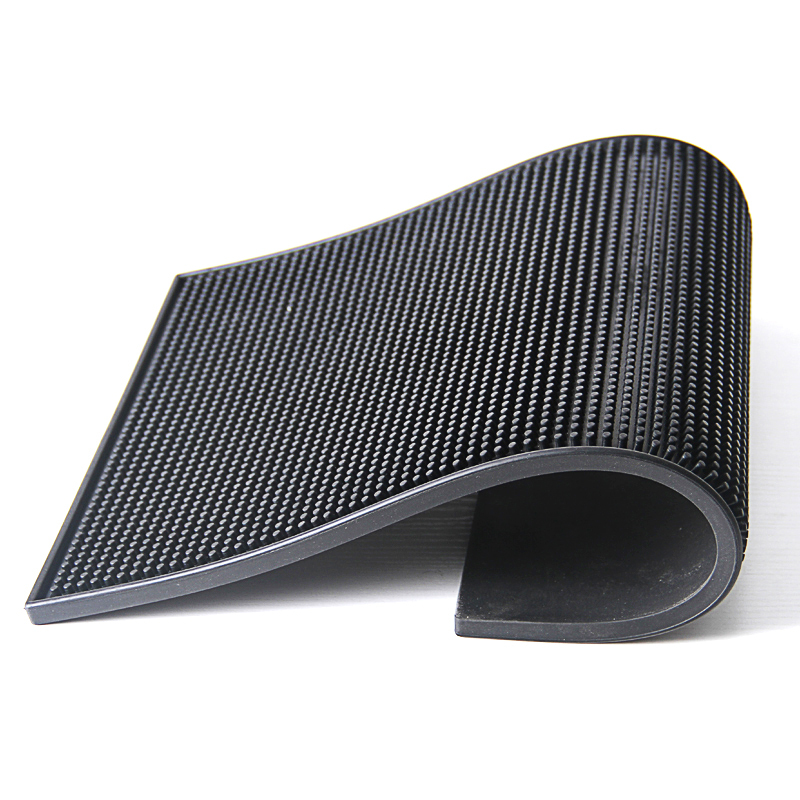 Consider using a rubber bar mat on the floor to store kegs and CO2 tanks to prevent rust rings as well. No matter what the application, we’ve got you covered.